The neem tree is native to India and Southeast Asia, but it is now grown in the warm lowland tropics as well as in arid and semi-arid areas of the world. It was introduced to Eastern Africa during the 19th century by East Indian immigrants, who propagated the tree essentially for its medicinal properties. 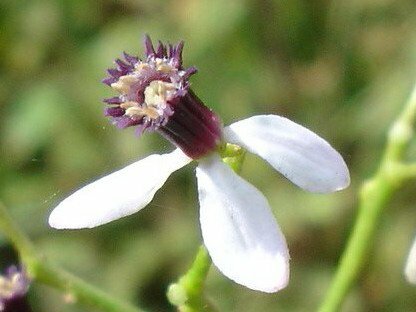 It is now widely cultivated in Mauritania, Senegal, Gambia, Guinea, Ivory Coast, Ghana, Burkina Faso, Mali, Benin, Niger, Nigeria, Togo, Cameroon, Chad, Ethiopia, Sudan, Somalia, Kenya, Tanzania, and Mozambique. 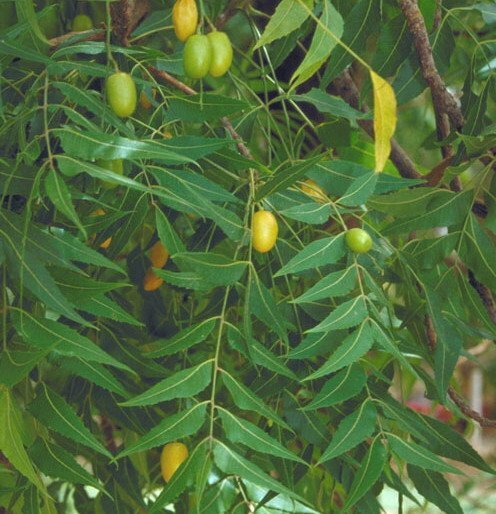 In Kenya, especially along the Coast, the Neem tree is very well known: in Kiswahili its name is "Muarubaini", which means the tree of the forty cures. The tree, which grows up to 30 meters and can reach an age between 100 and 200 years, provides shade and timber. 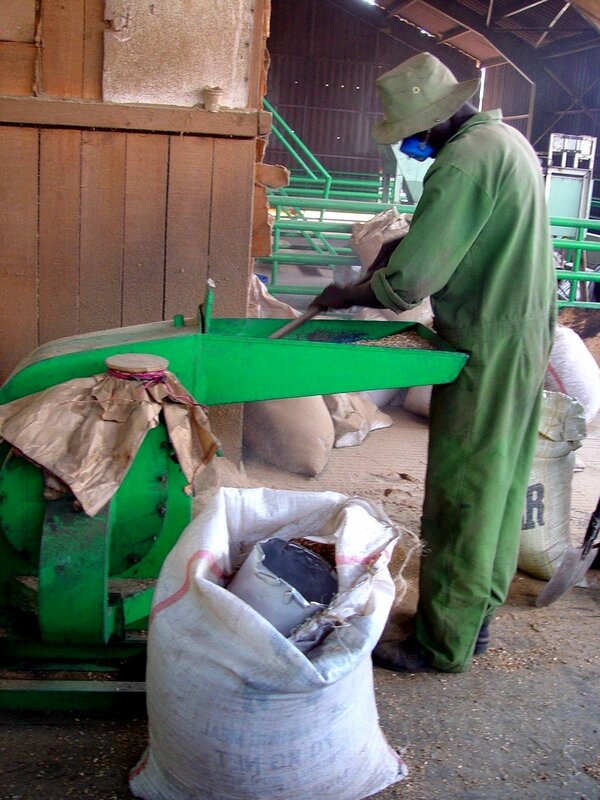 The seeds, leaves and bark can be used to produce medical, cosmetic and insecticidal products. 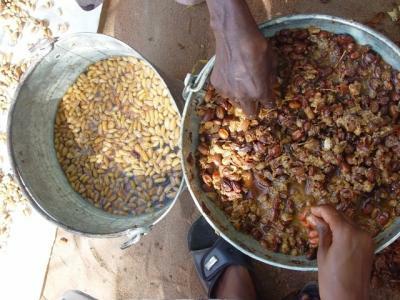 Extracts from seeds and leaves can be turned into medicines against a number of ailments as well as insecticides for agricultural use. 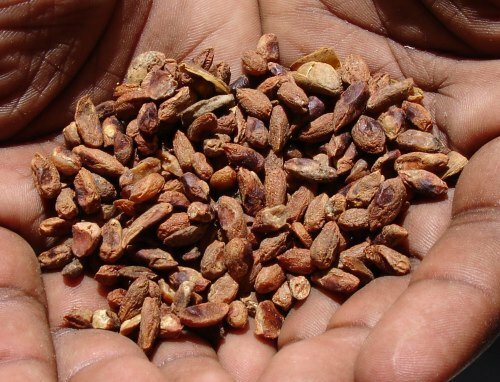 Especially the oil, produced out of the seeds, is a much sought after ingredient for cosmetic products. Because it is an evergreen and fast growing tree, Neem is a favourite for reforestation. The wood is useful as building timber because termites will not attack it. When planted on slopes, the tree can help to combat erosion and landslides. The fallen leaves help to neutralise acidic soils. 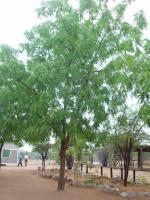 Neem tree grows in areas with mean annual rainfall of 450 mm up to 1,200 mm. It can grow in regions with an annual rainfall below 400 mm, but in such cases it depends largely on the ground water levels. Neem grows in areas from sea level up to 1200 m, however it thrives at low altitudes. Very often the neem tree is confused with the Persian lilac or chinaberry tree (Melia azedarach) a relative of neem which thrives at high altitudes. The tree grows on a variety of soils, clayey or sandy, saline or alkaline, but will not grow in waterlogged soils. It does particularly well, however, on black cotton soils and deep, well drained soils with good subsurface water. Unlike most other multipurpose tree species, neem thrives on dry, stony, shallow soils and even on soils with hard calcareous or clay pans at a shallow depth. The tree improves soil fertility and water holding capacity because it has the unusual property of calcium mining, and can thereby neutralise acidic soils. Its extensive root system also has a rare physiological capacity to extract nutrients from highly leached sandy soils. Neem can grow on soils with a wide pH range. The optimum growth is at pH 6.2 to 7, but it can also grow well down to pH 5 and survive in soils of pH 3. 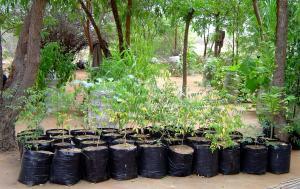 Neem tree is best propagated from its seeds which will only germinate if less than three months old. The seeds need to be sprinkled with water daily while laying on a newspaper which is placed on plastic in the shade. The newspaper has to be renewed every second day. After a week the seed will crack and sprout ready to be planted in compost made of half soil and half cow manure. To propagate from a cutting, a small twig has to be stripped of its leaves and stuck into moist soil. Nutrient deficiencies: A lack of zinc or potassium drastically reduces growth. Trees affected by zinc deficiency show chlorosis of the leaf tips and leaf margins, their shoots exude much resin, and their older leaves fall off. Those with potassium deficiency show leaf tip and marginal chlorosis and die back (necrosis). The tree starts bearing fruits after 3 to 5 years and is fully productive after 10 years. Under favourable conditions a tree can produce up to 30 kg of seeds per year and 350 kg of leaves. By and large, most neem trees are reputed to be remarkably pest free; however, some pests and diseases occasionally attack neem trees. The tree starts bearing fruits after 3 to 5 years and is fully productive after 10 years. Under favourable conditions a tree can produce up to 30 kg of seeds per year and 350 kg of leaves. In some parts of Africa (mainly in the Lake Chad Basin), a scale insect (Aonidiella orientalis) has become a serious pest. This and other scale insects sometimes infest neem trees in central and south India. They feed on sap, and although they do little harm to mature trees, they may kill young ones. Now that one type of scale has been detected in Africa, the impact could be severe. Another insect pest ist the scale insect Pinnaspis strachani (very common in Asia, Africa, and Latin America). Even though neem timber is renowned for termite resistance, termites sometimes damage, or even kill, the living trees. However, they usually attack only sickly specimens. In Nigeria, 14 insect species and 1 parasitic plant have been recorded as pests. Few of the attacks were serious, and the trees almost invariably recovered, although their growth and branching may have been affected. The best-established and most widely recognised uses are as a general antiseptic. Neem preparations are reportedly effective against a variety of skin diseases, septic sores, and infected burns. The leaves can be applied in the form of poultices (cataplasms) or decoctions. They are also recommended for boils, ulcers, and eczema. The oil is used for skin diseases such as scrofula, indolent ulcers, and ringworm (OIA 1992). Various parts of the neem tree have been used in traditional ayurvedic medicine in India for centuries. 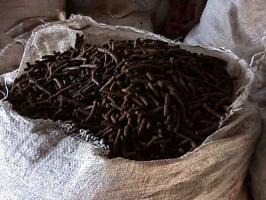 The medicinal utilities have been described, especially for leaf, fruit and bark. Neem oil and the bark and leaf extracts have been therapeutically used as folk medicine to control leprosy, intestinal helminthiasis, respiratory disorders, constipation and also as a general health promoter. Its use for the treatment of rheumatism, chronic syphilitic sores and indolent ulcer has also been evident. Neem oil is used to control various skin infections. Bark, leaf, root, flower and fruit together cure blood morbidity, biliary afflictions, itching, skin ulcers, burning sensations and pthysis (tuberculosis). Neem leaf extract has been prescribed for oral use for the treatment of malaria by Indian ayurvedic practitioners from time immemorial. Dried neem leaves in the form of tea are also used by the people of Nigeria and Haiti to treat this disease. There are also reports on the biological activities and pharmacological actions of neem based on modern scientific investigations. Clinical studies with dried neem leaf extracts indicated their effectiveness to cure ringworm, eczema and scabies. Lotions derived from neem leaf, when locally applied, can cure these dermatological diseases within 3 to 4 days in acute stage or a fortnight in chronic case. Application of neem oil on the hair has been shown to kill head lice. Neem bark contains a strong antiseptic and neem is used to make soap and toothpaste. Neem twigs are used to clean teeth. 2. Measure one handful or 1 cup of whole leaf to 1 litre of water. If using neem powder, use 30g or a 1/4 cup of powder per litre of water. 3. Bring water to boil. 5. Add whole leaf or powder. 6. Cover, and let stand overnight or 24 hours. 7. Strain liquid, put in bottle, and drink as needed. 8. Refrigerate for long term storage. Chew 8 to 10 neem leaves early in the morning for 24 days. This protects your body from diseases like diabetes and hypertension; and also skin problems. Medicines from plants should, of course, be treated with the same caution as medicines from laboratories. Neem oil seems to be of particular concern. Consuming it, although widely practised in parts of Asia, is not recommended. Doses as small as 5 ml have killed infants, and animal studies showed acute toxicity at doses as low as 14 to 24 ml per kg of body weight. However it seems possible that this was caused by contaminants rather than by the oil itself. In Germany, toxicological tests using oil obtained from clean neem kernels resulted in no toxicity, even at a concentration of 5,000 mg per kg of body weight in rats. Nonetheless, caution is called for. The leaves or leaf extracts also should not be consumed by people or fed to animals over a long period (OIA 1992). The tea is 100% pure neem product made from dried neem leaves. It contains no additives. It is best used as preventive-curative in treatment of sore throat, colds, fever, food poisoning, low in cholesterol, malaria, hypertension, respiratory problems, diabetes, hepatitis and kidney ailments. Taken regularly, it helps to eliminate fatigue. Neem is regarded as one of the best blood purifying herbs. 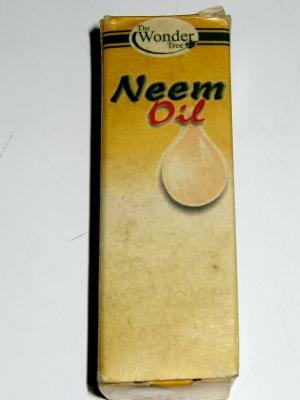 This product is refined neem oil from the neem seeds. It has been blended with lemon grass to create an excellent therapeutic oil and skin cleanser. Seed oil can be applied directly to the affected areas of skin and scalp. It is a natural treatment for rashes, burns, cuts, bruises, fungal infections, acne, pimples and other skin blemishes. Neem seed oil has been found to be effective against Tinea pedis or athlete's foot a skin infection caused by a fungus. This is a herbal soap made from pure neem oil. It has natural skin moisturising oil that makes the skin soft and supple. It assists in preventing as well as healing many skin and scalp ailments, inflammation, fungal infections, burns, cuts and bruises. Neem soap alleviates the intense itching and scarring which are the main problems associated with chickenpox. Take cool baths to reduce itching. Made from sun dried neem leaves, they are used for the same purpose as neem tea. Neem is one of the most potent immuno-stimulant available herbs. The neem tree has over 100 compounds with pesticidal properties. The best known is azadirachtin. This substance is found in all parts of the tree. Neem is unique among plants with pesticidal properties since it has so many different effects on pests: It acts as a broad spectrum repellent, insect growth regulator and insect poison. It discourages feeding by making plants unpalatable to insects; if they still attack, it inhibits their ability to moult and lay eggs. Unlike most botanical insecticides, neem also has a somewhat "systemic" effect. This means that plants can take up neem extracts through their roots and leaves, spreading the material throughout the plant tissues. For this reason neem can help control pests like leafminers, which feed within leaves and are normally not affected by sprays that only cover the outsides of the plant. Neem extracts do not kill insect pests immediately. They change the feeding behaviour and life cycle of the pests until it is no longer able to live or reproduce. Therefore, neem extracts are not immediately effective. Effects are often not visible before 10 days after application. Pests may continue feeding lightly on plants until the spray takes effect. On adult insects, in fact you may not see any direct effect, but they will produce no or very few offspring, reducing future damage. Consequently, severe pest attacks will not be controlled within time. For a reliable and satisfying control neem extracts must be treated at an early stage of pest attack. Neem products break down fairly quickly - usually within 5-7 days - in sunlight and in the soil; heavy rains within a few days of application may wash off the protective cover of neem on plants. So, usually repeated spot sprays of affected plants are necessary to achieve control. Some neem products, especially the ones with high oil content, are phytotoxic to some plants. 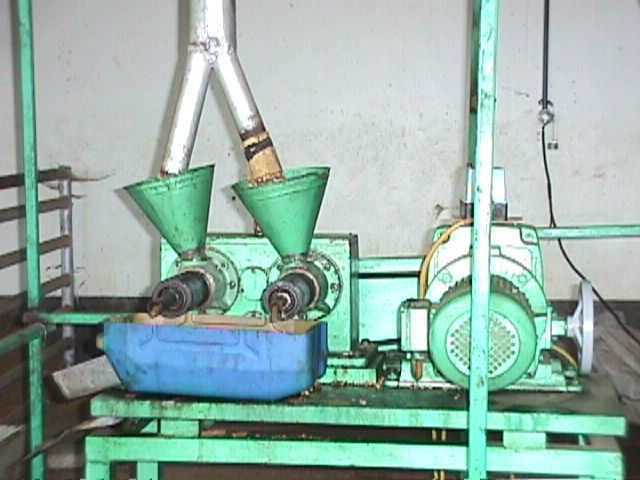 Therefore, the extracts should be tested on few plants before going into full scale spraying. Neem based pesticides are suitable for use in developing countries because leaf or seed extracts can easily be done without the use of expensive and complicated equipment. However, neem extracts are rapidly destroyed when exposed to sunlight (UV, ultra-violet rays). For this reason, commercial products usually contain a sunscreen. Because neem's chemical structure is so complex (the tree has many different compounds with pesticidal properties), scientists believe it will take a long time for insects to develop resistance to it. However, in order to minimise the chance of affecting beneficial organisms and encouraging pest resistance, use neem sprays only when absolutely necessary, and only on plants you know are affected by pests. The effect of neem as a pesticide depends on the concentration of the active principles, on the formulation, on the pest type and on the crop. Use as an insecticide: The seeds are the primary source of insecticides. They can be used in the form of simple aqueous extracts or as a basic raw material for formulated pesticides. The leaves are also used as simple aqueous extracts to repel insects. Use as a fungicide: One of the latest discoveries is neem's potential application in the control of phytopathogenic fungi. Neem oil based emulsions have proven to be the most effective. Use as a molluscicide and acaricide: These pests are only controlled on to a limited extent with neem. Neem showed deterrent effects on land snails. Alcoholic extracts have a negative effect on the reproduction of spider mites. The susceptibility of different groups of pests to neem products is shown on the table below. Neem preparations, being medium- to broad-spectrum pesticides, also have side effects on some non-target organisms. However, these effects are as a rule relatively slight. This has been explained by the special mode of action of neem compounds, and on the feeding behaviour of the insects as well as the, low contact effect of neem products. The degree of side effects is largely dependent on a number of factors such as formulations, time, frequency and methods of applications. Adults of predatory insects are apparently not affected by dosages of neem products recommended for effective pest control. However, their activity, fecundity and longevity may be negatively affected with high dosages. Hover flies are one of the most sensitive groups to neem applications. Parasitoids are in general less sensitive to neem products than predators. However, especially in very small species of parasitic wasps, treatment of the developmental stages of the host (for instance eggs or puparia of whiteflies), may have negative effects on the emergence rate, walking ability, searching ability, longevity and fecundity of the natural enemy. Lemmens, R.H.M.J, Soerianegara, I. and Wong, W.C. (1995). Plant resources of South-East Asia No. 5 (2). Timber trees: minor commercial timbers. Leiden, Netherlands: Backhuys Publishers. Singh S.P. (1989). Wasteland development. New Delhi, India: Agricole Publishing Academy. Streets, R.J. (1962). Exotic forest trees in the British Commonwealth. Oxford, UK: Clarendon Press. Tewari, D.N. (1992). Monograph on neem (Azadirachta indica A. Juss). Dehra Dun, India: International Book Distributors. Vietmeyer, N.D. (1992). Neem: a tree for solving global problems. Report of an ad hoc panel of the Board on Science and Technology for International Development, National Research Council. Washington, DC, USA: National Academy Press. Webb D.B., Wood, P.J., Smith, J.P., Henman, G.S. (1984). A guide to species selection for tropical and sub-tropical plantations. Tropical Forestry Papers, Commonwealth Forestry Institute, University of Oxford, No. 15 (rev. ):ii + 256 pp.